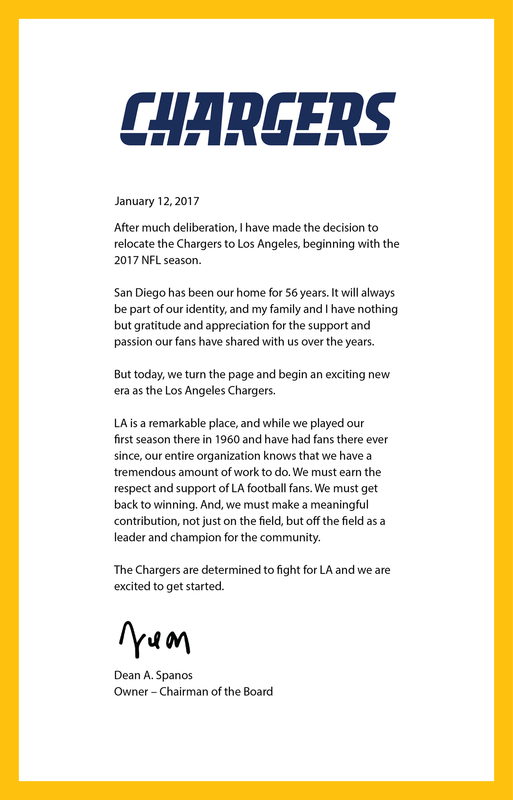 Today, our hearts broke when the Chargers announced their move to Los Angeles. 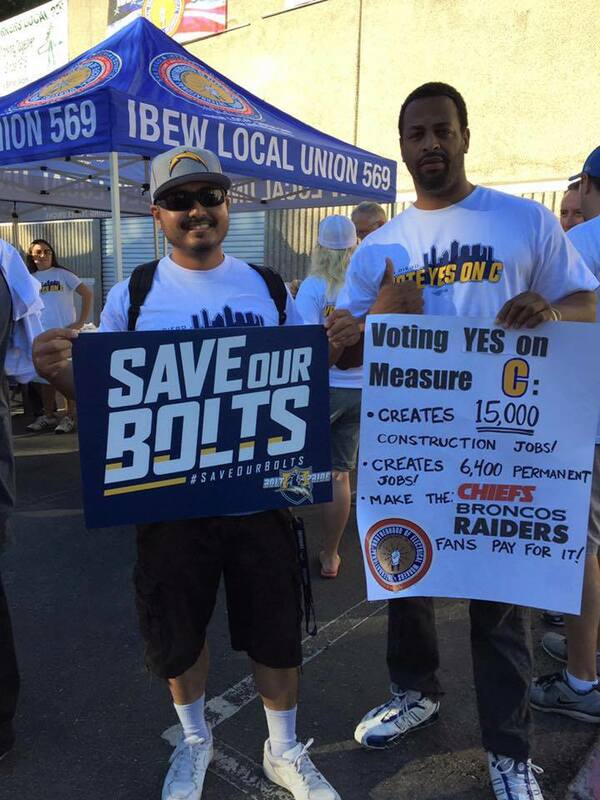 IBEW 569, the Unions of the San Diego Building & Construction Trades Council, and Save Our Bolts did everything in our power to support the team and efforts to build a new stadium (paid for by tourists) with excellent economic and community benefits. After decades of stalemate and fumbling from SD City leaders, it's time for the Chargers to move the chains. 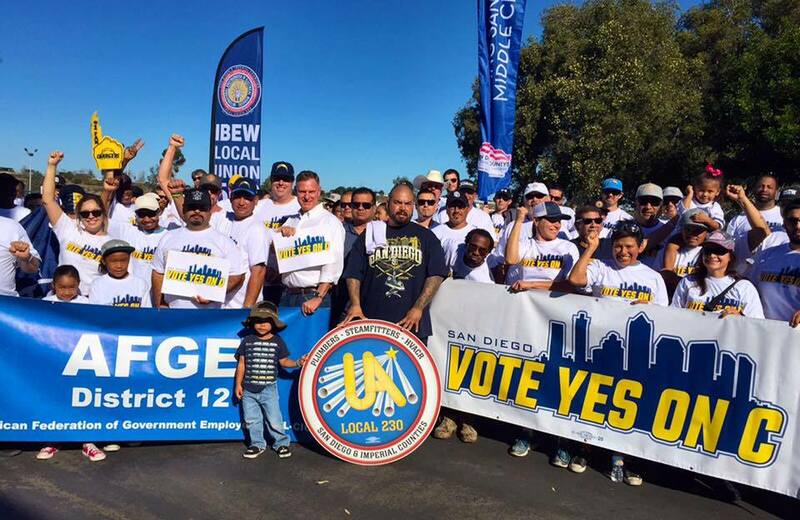 We're grateful for their support of working families and unions, wish them success and championships, and we hope to see them one day return to San Diego.